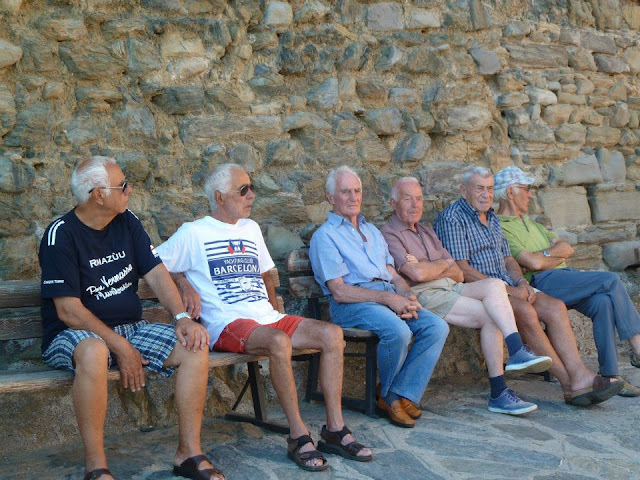 So, let's talk about Cinque Terre. I have never heard of this place until about a month or so ago when we cancelled our trip to Pamplona for the running of the bulls. So the alternative plan was to go somewhere else and do something less dangerous, but perhaps as adventurous as running of the bulls. We already had Cinque Terre in mind as a fellow traveler mentioned the place to us when we were in Santorini. And oh speaking of Santorini, nothing beats this place on my paradise list, but I must say that Cinque Terre is up there. We landed in Pisa on Sunday morning and took the train to Bologna. Yes, we stayed a night in Bologna just to warm up for Cinque Terre and we were not disappointed. I kind of like Bologna because I thought it was quiet. But then again, it was Sunday that's why there was probably not a lot of people and vehicles on the streets. 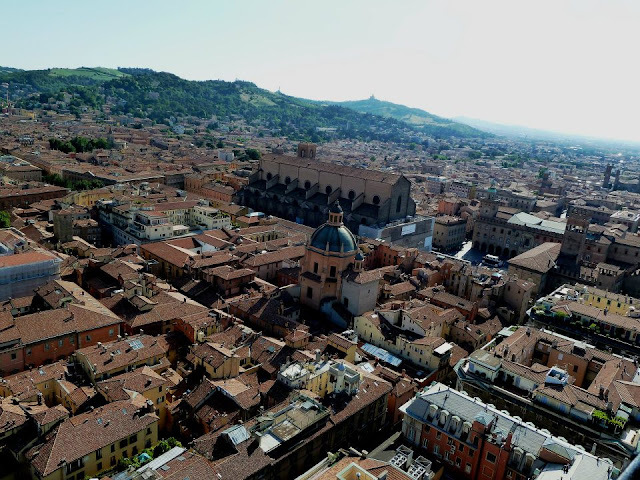 Since our trip to Bologna was not properly planned, we didn't go anywhere but the centre of town. This is definitely one of the cities that we would visit again. We would have loved to walk through San Luca. 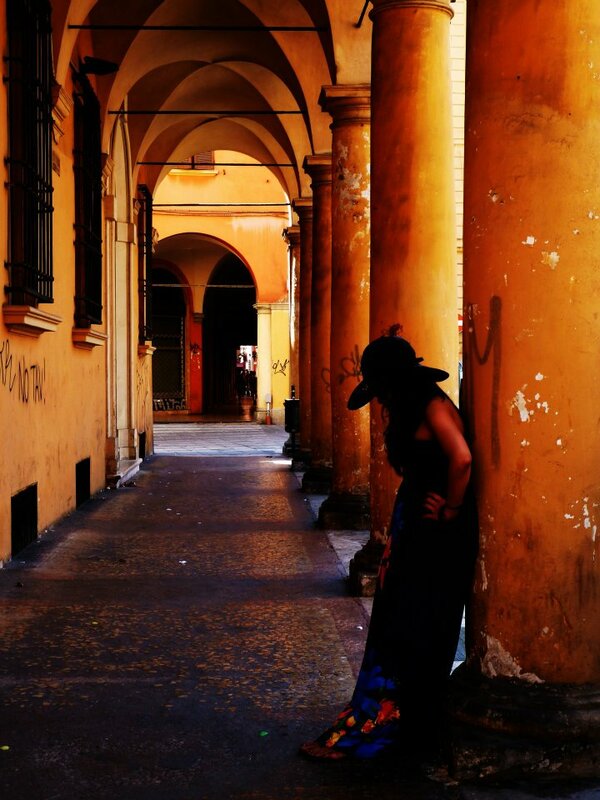 The famous arcades of Bologna. 498 steps to the top of Asinelli tower for this panoramic view of Bologna. Cinque Terre is located in the Italian Riviera, in the region of Liguria and consists of five villages namely Riomaggiore, Manarola, Corniglia, Vernazza and Monterosso. From Bologna we took the train supposedly to Riomaggiore (which was more or less two hours and roughly 20 euros one way), but we ended up in Monterosso. From there we took the local train back to Corniglia, where we stayed on our first night. From the train station, you can either take the bus or climb the estimated 382 steps "Lardarina" to the centre of the village. We did both and we also walked through the main road at different occasions. For me, Corniglia is the most peaceful of the five villages. There were not a lot of tourists. I wondered about that actually, then I realized that probably because the marina is not well known, as it's hidden at the foot of the cliff- meaning that you have to go down probably another hundreds of steps to get there. The "Cardiac" steps. Perhaps if you're not healthy enough to climb up these steps, you'll end up with a cardiac arrest. We went to Riomaggiore the same day that we arrived in Corniglia. I don't think we really explored Riomaggiore that much. But it looks like a lot of college kids flock in the area. The town connects directly into the sea so there are no steps to climb. There is also a diving point which probably is one of the attractions in the village. 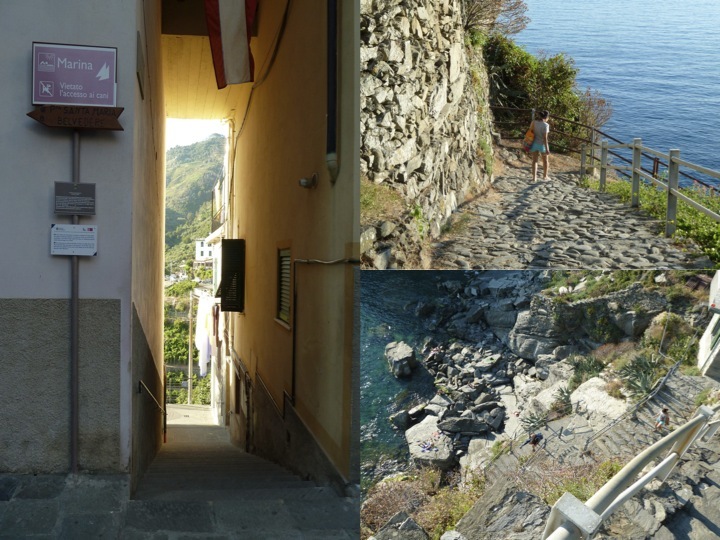 After wandering around the village, we walked to Manarola through Via Dell'Amore (Pathway of Love). This is the most pleasurable walk of all because it's a paved path and it will only take you about 20 minutes, perhaps 30 if you take a lot of photos on the way as you wouldn't want to miss the magnificent view and the other interesting things you'll find along the way. There are a couple of things that you should remember to bring if you are planning to take this walk- 1) a permanent pen to write your and your lover's name and whatever else you want to write on the walls and on the rocks 2)a padlock to seal your love for each other if you are really that romantic. Mind you, we saw all sorts of things hung on the wire mesh- flowers, plastics,souvenirs and yes condoms, used or not, I don't know. There is an entrance fee of 5 euros to walk through the Via Dell'Amore. Alternatively you can take the train to the next village for 1.30 euros. You'll get there quicker in about 2 minutes, but you'll surely miss the fun and the stunning views. Also, take notice of the bystanders by the entrance of Via Dell'Amore. I think the address is the Restaurant, but their apartments are in the centre of the village. Our apartment room was facing the main road and the oratory of S. Caterina. Most of the hotels and apartments in Cinque Terre do not have wi-fi. Cheap but excellent food and it's right in the heart of the village (and has free wi-fi). We also had dinner at La Posada Ristorante and Camere. 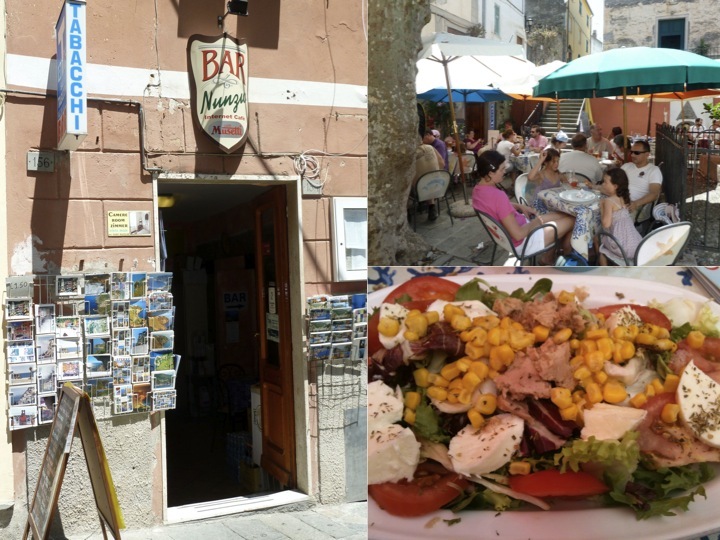 Nice view and reasonable food with good service from Christian, whom we met on our first day in Corniglia and who assisted us to our hotel. I was hoping that I could write about my whole Cinque Terre experience in one blog but I guess it's impossible as it's going to be too long otherwise.